* Released as double pack with FACT 135. 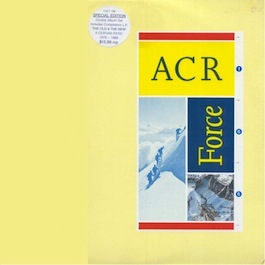 Notes: A Factory Australasia letter describes this release: "The FORCE L.P. plus a bonus L.P. of classic A.C.R. Great cover with inner sleeves of the L.P.s Australian only release."